A twenty-something Los Angeles filmmaker, Millie doesn’t have a lot going for her in the first of the Arcadia Project series, Borderline. Recovering from a severe suicidal episode that cost her her legs, Millie suffers from borderline personality disorder and has, for quite some time, lived in a facility in which she has access to healthcare professionals. But when a mysterious woman shows up and offers her independence in the form of employment, Millie jumps at the chance. She soon discovers her work will include plenty of detective work as she works to hunt down a missing fey person and work out how his connections are involved with the help of her partner and the rest of those working for the Arcadia Project. I came into this novel after asking the folks at Book Riot for a recommendation based on the elements of my all-time favorite book, War for the Oaks. I requested something in the urban fantasy vein that had a great female lead, faeries, grittiness, a little urban feel, a stark feeling of realism within the fantasy, and music. Based on those qualifications, Borderline had a pretty strong start. The female lead was interesting and by no means nice, Baker had her own take on faeries, Millie’s reality as a double-amputee and someone with a serious mental health diagnosis was certainly gritty, there was a reasonably strong sense of realism, and, while there was no music, there was a heavy presence of art in the form of movies. After a quarter to a half of the novel, most of those things had fallen away in one way or another from their strong start. Millie, though originally with a refreshing, biting personality that is often reserved for men in procedural dramas (think Gregory House of House, MD) — to include hypersexuality driven by symptoms of her borderline personality disorder — became a bore after not too long. While it was fun to watch a woman inhabit this character for a while, Millie’s existence as a woman dissolves and the reader might as well be reading about a man. Because her gender felt so specific in the opening, the lack of its influence in the rest of the novel doesn’t fit well. Additionally, while Millie doesn’t need to be likable to be interesting — and I’ll again state that I don’t feel protagonists need to be likable to be worth reading about, nor do they need to be redeemed for a novel to be of value — there’s a strange disconnect in which Millie is often quite socially aware and politically correct, excepting for a few moments, one of which features her having an unkind, racially-charged thought to the detriment of an Asian American character. Her generally harsh personality combined with this propensity to be social-justice conscious seems at odds, and is never quite explained or developed enough to make sense, unless readers suppose it’s some feature of her personal experience with mental illness and stigma. Grittiness remains throughout with Millie’s challenges as a double-amputee and someone with BPD, but the industrial grittiness I admittedly looked for in comparison to War for the Oaks was mostly absent in the shiny land of Los Angeles. And, I think the form of art featured (again, instead of the cool and dirty rock ‘n’ roll of Oaks) took away from any potential grittiness, especially as film is used as a sort of metaphor for illusions and glamor (a faerie concept, if you’re familiar with the genre, meaning magical visual illusions, primarily). So these things ultimately let me down. Also frustrating for my tastes was that Borderline sits more comfortably as a detective or mystery novel, much like a procedural show like CSI might. It seems that Borderline is one of these, first, before it is a fantasy novel. This is partly evidenced in that, aside from the heavy procedural and detective influences on the plot, Baker seems to know more about her fantasy world than she lets on. This is somewhat natural, given Millie is new to it and she is the reader’s eyes for the purposes of this story. But the fact remains that Borderline doesn’t quite feel as advertised. Plus, Baker has a new take on faerie lore — fine, maybe, for others, but not for me. 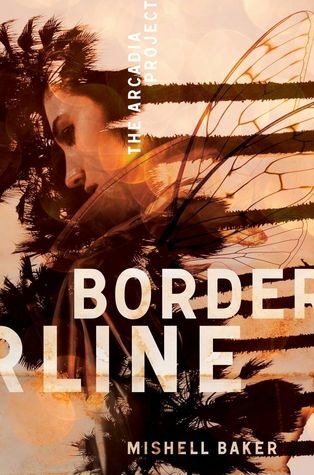 Borderline has a sequel, but it’s not something I feel compelled to read. Though the novel might not be bad, it simply wasn’t what I was looking for and felt miscategorized and poorly marketed based on the dust jacket description and cover image. Baker’s world needed more explanation and less of a detective lean for my tastes. Drawing from her personal life and what she’s learned as a scholar, popular author and essayist (and famed TEDxTalk speaker) Chimamanda Ngozi Adichie writes a letter to her friend who has newly given birth to a daughter in response to a request on advice in raising a child in a feminist manner. With fifteen short parts, Dear Ijeawele, Or a Feminist Manifesto in Fifteen Suggestions offers practical and evidence-based ideas to her friend and the world beyond, using examples from their shared experiences and beyond. In one of the most succinct introductions to Gender and Women’s Studies I’ve ever encountered, Dear Ijeawele is absolutely a useful text for the novice feminist or pre-feminist. Certainly the collection of essays (most no more than a few paragraphs) lays out the very basics of feminism as it addresses things such as wage inequality between men and women, domestic abuse, gendered clothing, and workplace discrimination among other topics. Adichie writes in a fashion that is superbly accessible and keeps from getting too into the weeds and thus keeps from scaring off potential new feminists with jargon and assertions which require an understanding of intersectionality and interconnectedness (for example, this is not the book for examining how poverty or a disregard for the environment also contributes to misogyny and vice versa). The unwillingness to dive into the depths of feminist theory — fine, of course, for Adiche’s stated purpose is a basic guide for a friend raising a daughter — does mean, however, that there is nothing new here. Adichie revisits old ideas that might just as well be found in Betty Friedan’s The Feminine Mystique, perhaps with the added context of the Internet and other modern influences. While Dear Ijeawele is one of the most simple feminist texts I’ve encountered, its prose does little to sway those who are not already feminists. And, frankly, if a reader already is a feminist, they won’t find anything here that is new to them. This can only mean, for me, that the work — while concise, simple, easy to read, well-written and organized, and all of that — is somewhat extraneous at the end of the day, and supplementary at best. Though perhaps useful in a classroom setting for an Introduction to Gender and Women’s Studies class, the book has little other use. Those seeking the advice Ijeawele seeks are not likely to see anything in the text they have not already realized for themselves. And while Adichie has a great opportunity here to explore intersectional feminism, she outright rejects it, and states in no uncertain terms that she believes sexism is a bigger problem in the world than is racism. She doesn’t explore the particulars on that opinion, even, so I am unconvinced there as well. So, truly, Dear Ijeawele is hardly more than an introduction, if that. 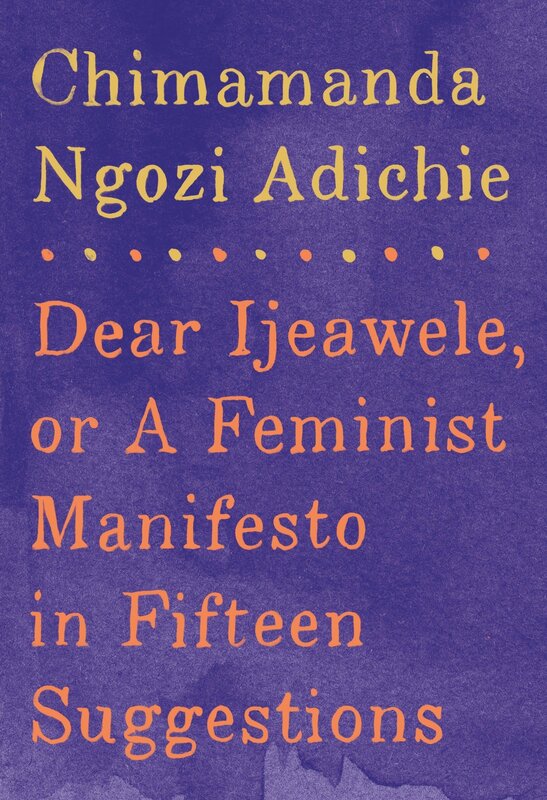 There’s no doubt Adichie makes important points and feminism is both relevant and crucial in modern times, but Adichie brings nothing new to the table in Dear Ijeawele, opting instead to reissue old favorites. The essays have value as ones that are well-written and as pieces that cover the basics, but there’s no incentive to read this over any other established feminist text. Many readers may well be better off with bell hooks or any other number of canon feminist writers. After a bodiless voice tells him to do it, Ray Kinsella turns his farmland into a baseball diamond, where he awaits the appearance of long-dead Shoeless Joe Jackson in W. P. Kinsella’s Shoeless Joe. When Jackson shows up, Ray knows this is not the end of this wild spiritual journey. Instead, he is compelled to drive from Iowa to New Hampshire in search of the recluse J. D. Salinger, at which point he will take Salinger to a Red Sox game and — well, who knows. Driven by complicated feelings about his upbringing and a desire to be a part of something bigger than himself, Ray travels halfway across the country and finds there’s more to baseball than he ever imagined. I realize naming a character Ray Kinsella has narrative value in that it’s relevant to the J. D. Salinger connection (read the book for more information on that), but it felt pretty ridiculous reading a novel in which the author shared the main character’s last name. I think most of us can agree that male writers tend to do a lot of self-insertion (and, true, writers of all genders do, but it seems the men deny it to an extra degree), but this felt especially egregious. In any case, the name was distracting, especially as it appeared as a Point again and again. The danger of putting Ray on a quest for Salinger and him rolling over in his doubts for hundreds of miles of driving is that the story can be monotonous at times. Typically by himself, Ray has little cause for dialog and primarily ruminates on his baseball field, its implications, sometimes his family (both the one he was born into and the one he’s created). He makes sweeping observations about American life and leisure, which can be interesting, if a bit pretentious at times. And, perhaps predictably, Ray falls into the unfortunate state of racism and sexism on occasion. One particular scene troubled me, in which Ray purchases a gun. In an exchange with a gun shop clerk, Ray and the clerk discuss how the neighborhood has changed “if you know what I mean.” Kinsella — both author and narrator — need say no more for modern readers, at least, to pick up on the fact that the reference, here, is to people of color moving into the neighborhood, particularly with the context around this scene. It’s a shame. Although I’m not one to believe a book must eschew racism outright, I do believe it ought to have a purpose if it is going to appear. In this case, the conversation was nothing but filler, rendering it as just a vehicle for racism. In many other scenes, Ray’s focus is on his wife’s body, her little girlishness, his daughter’s similar innocence, and other dehumanizing aspects of the few women present in the story — again, to no real point. Though these moments might do little to illustrate any consequential character traits (at least insofar as they’re related to the narrative), Kinsella does an otherwise fine job of developing the inhabitants of Shoeless Joe. Both J. D. Salinger and Moonlight Graham are especially good examples of characterization well done. They are complex individuals with motivations and desires, developed to the point of realism. While I don’t know enough about Salinger’s personal life story (beyond the usual facts of reclusiveness and rumors) to imagine this characterization was either well-researched or accurate, it certainly comes across as reasonably real. Shoeless Joe has been, in my experience, surprisingly overlooked as a piece of good literature. Capital-L Literature, even. The novel is slow-paced, to be sure, and not a whole lot happens. But the prose is delicious to turn over in most passages, and there’s no doubt Kinsella-the-author does a fantastic job at weaving magic and realism into a seamless example of magical realism. None of it seemed so outlandish that it couldn’t be, particularly in the very sacred context of baseball. Like lots of Literature, it does at times seem pretentious and lofty, but it’s the tolerable kind that adds to the story, rather than detracting from it. 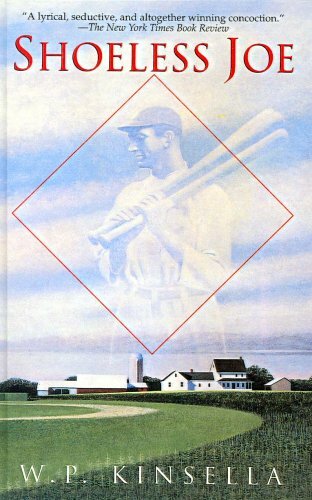 Even if you’re not a fan of baseball, Shoeless Joe provides another look at the American Dream, wanting to be a part of something bigger than yourself, and the concept of spiritualism — and, it’s worth reading just to compare to the movie adaptation, Field of Dreams.